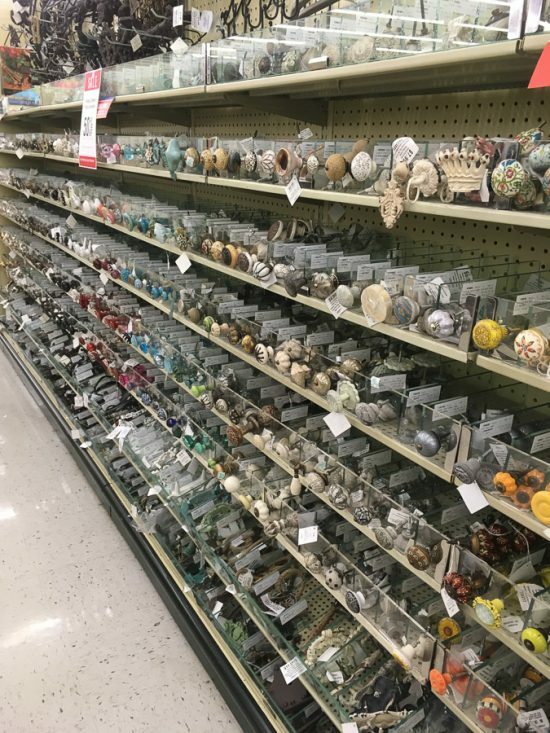 If you’ve ever ventured down the aisles of Hobby Lobby, you’ve seen the huge selection of decorative knobs and pulls that they have. Whenever I’m in the store, I always stroll down that aisle, usually just looking at the different designs, waiting for inspiration to strike. 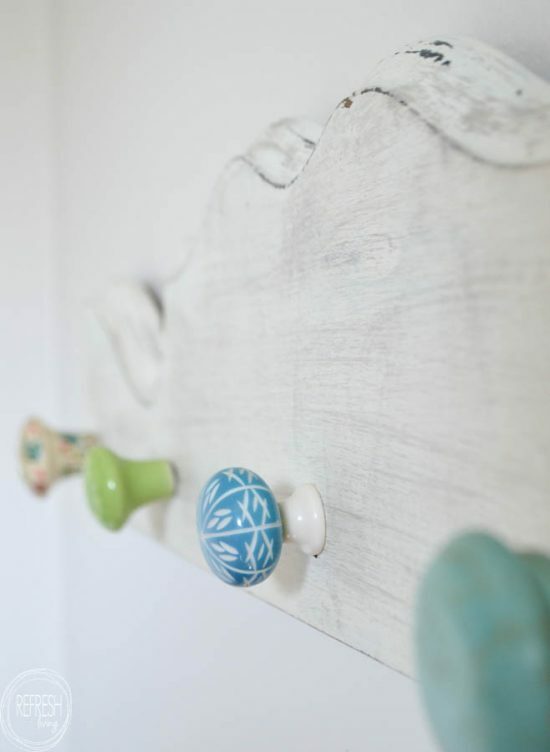 Sometimes, I’ve found knobs that I love, and then designed a whole piece of furniture around those knobs! 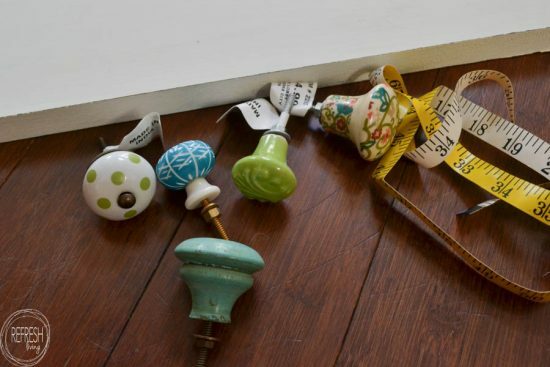 We all know that decorative knobs can be used as drawer and cabinet pulls, but there are a ton of other great uses for them as well. 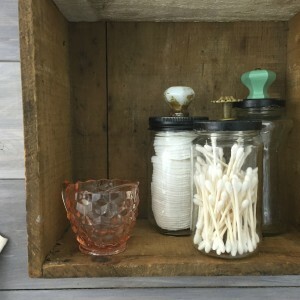 I took some knobs (although they were vintage ones, but new ones could be used in the same way) and added them to the tops of old glass jars. 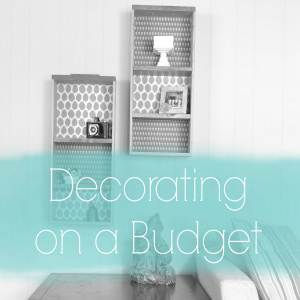 They now store bathroom supplies in our house, but you could use them for so many other purposes, too. 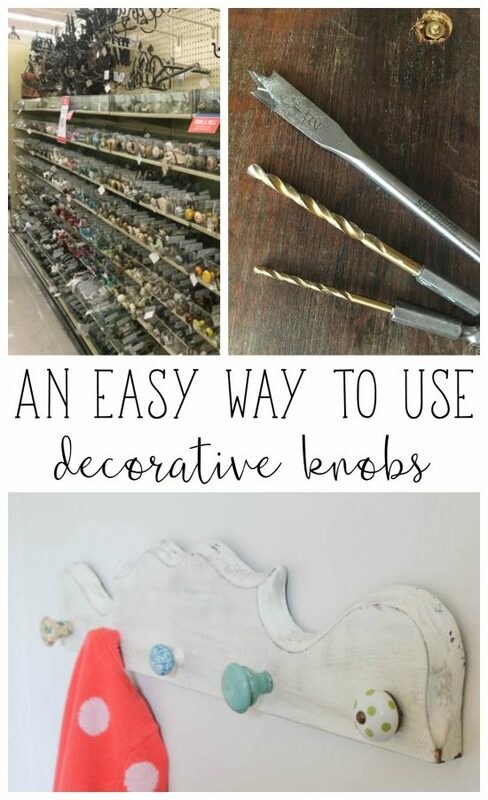 I also love to use these pretty knobs to make racks for hanging items like coats, towels, and jewelry. It took me awhile to figure out how to make them work (without a massive nut or screw sticking out the back), but I’ve since perfected the process and here to share it with you. 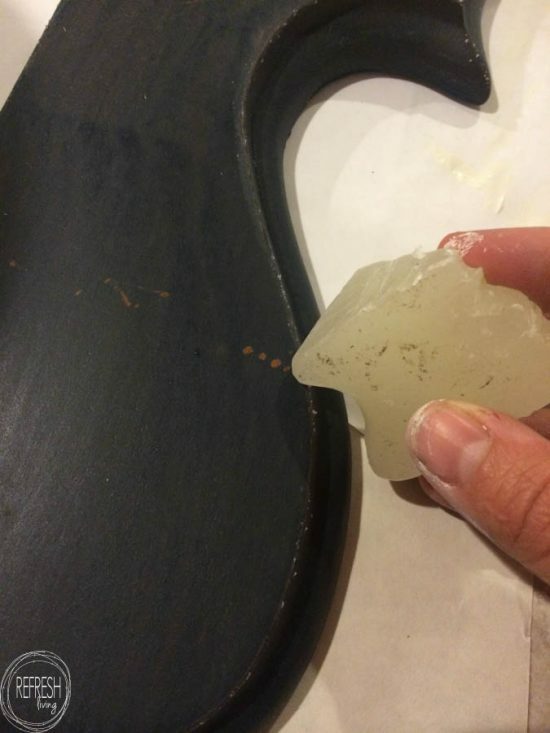 The first step would be to prepare your wood. 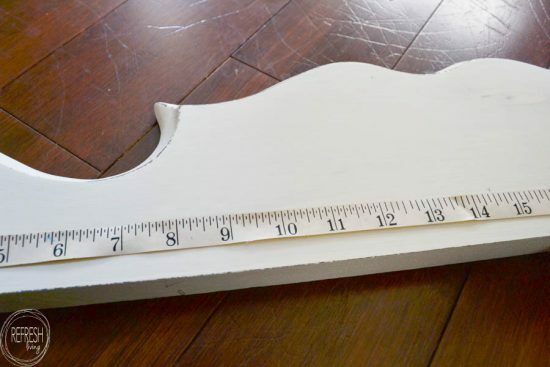 Cut it down to the size you would like to use, paint it or stain it or seal it or leave it as is. 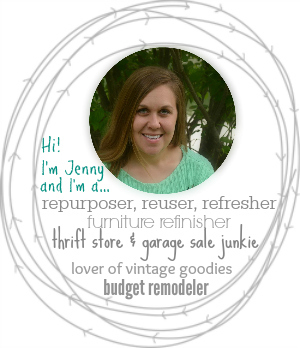 For my piece, I used the top of an antique washstand that was left over from our bathroom vanity project. I painted it dark blue, added some wax to the edges, and then painted it gray. After the paint dried, I lightly sanded the piece to reveal a few places of the blue. Then, I did the same steps and covered the gray with white paint, let it dry, and sanded some of it away. I measured the distance I wanted in between the knobs and marked each one with a small “x”. The next step is to drill the holes in the wood. It’s actually a super simple process, but does have a couple of different steps to achieve the best results. Rather than trying to explain it here, I thought it would be best to show you in a quick video. 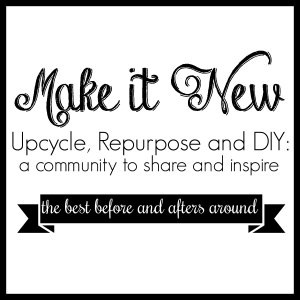 If you haven’t subscribed to my You Tube channel, I’d love for you to do so. Thanks! 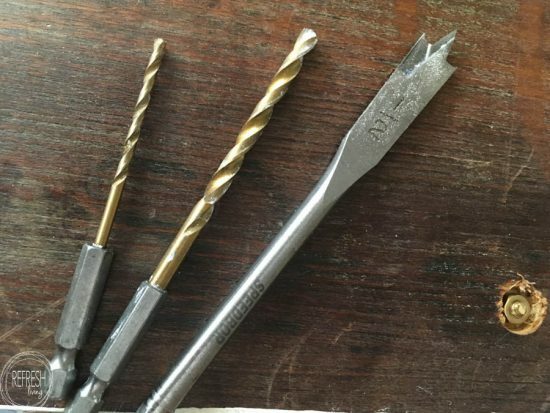 For this video, I used the 1/16″ drill bit, 5/32″ drill bit, and 1/2″ spade bit. 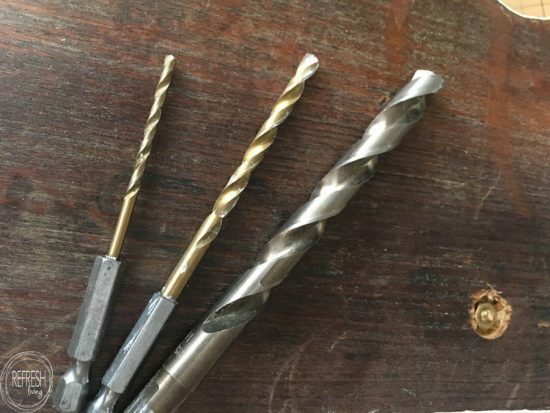 As I described in the video, you can always use a 1/2″ forstner bit and use the same process as the spade bit. 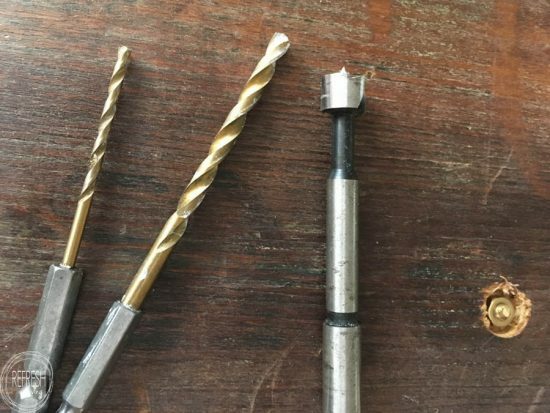 Or, alternatively, you could use a 1/2″ drill bit and just drill down enough that the nut will be recessed. I added two keyhole hangers to the back, one on each side, but you could also use d-ring hooks, or even saw tooth hangers. 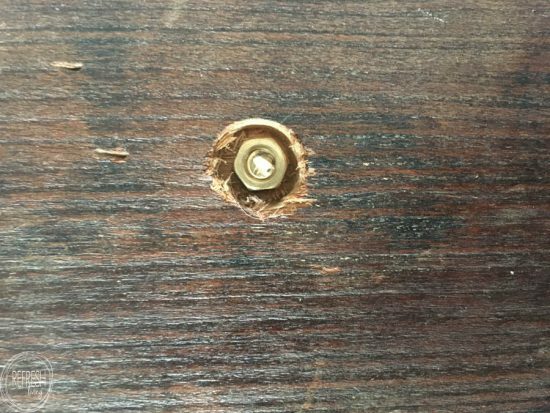 Before adding the knobs to the wood, you’ll need to cut the screw down so it doesn’t stick out of the back of the wood. Bolt cutters work great for this. You’ll need to use some grip strength, but small bolt cutters will get the job done. 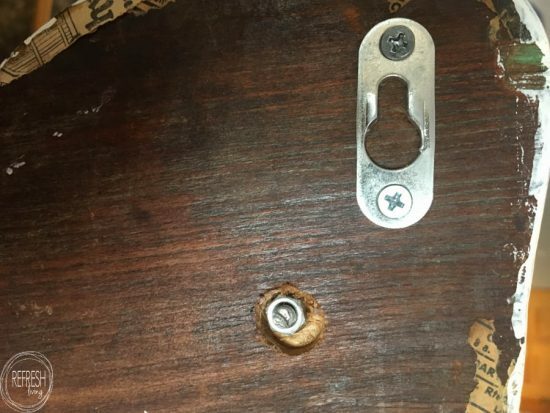 You want to cut the screw so that it is flush with the back of the wood when you put it through the hole. 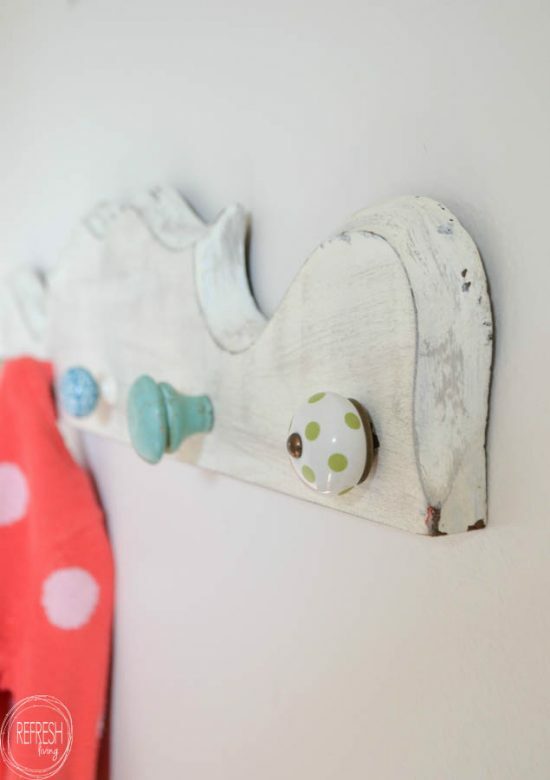 Screw directly into the studs, or use a drywall bracket to attach your screws to the wall, and then hang up your new coat rack! 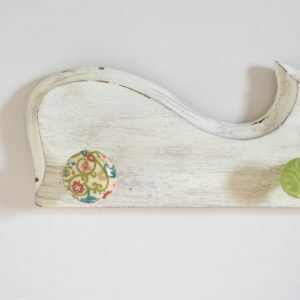 It’s so fun to pick out your favorite knobs and put them together to make something functional and pretty! The graphics library is free to all of my email subscribers; you can sign up by clicking the image below. Click on the image to sign up!